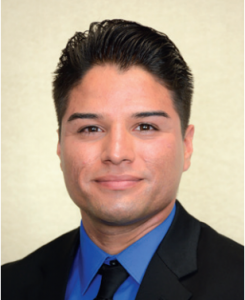 Mr. Valencia participated in SMDEP at the David Geffen School of Medicine at UCLA and UCLA School of Dentistry in 2010. Today, he is in his 4th year of medical school at The Edward Via College of Osteopathic Medicine, and planning to complete a residency program with a dual degree to obtain his IM/MPH. Ever since I can remember, I have always wanted to become a doctor. Over the years, my interest in a health profession have come from my caring personality, my interest in the human sciences, my passion for serving the underprivileged population since I grew up in such communities, professionals like my own doctor, professors, and other opportunities that have influenced me in the right directions like SMDEP. Moreover, I knew I wanted to educate others about the significance of living a healthy lifestyle. What obstacles did you overcome in your education or career journey? The biggest obstacles I have had to overcome in my education and career journey are speaking English as my second language, growing up in an underserved community, limited healthcare coverage and access, and having parents whose highest level of education was middle school. As a medical student today, I am still striving to overcome those obstacles among others. There are times when I experience a feeling of inferiority toward my classmates and professors: for I feel that I do not belong. Further, being one of the few students of color, my parent’s inability to financially support my education, and trying to keep up with society still affects me today. My passion, experiences, leadership, and networks are what make my story unique—a (bilingual) Hispanic, from an underserved community, with a strong passion of making a difference in the health care system. While in college, I founded and was president of two campus organizations: Health Connect, a health club; and Club Fuego, a Hispanic dance club. Cultural dance is one of my many passions. Also, during my summer breaks, I participated in different enrichment programs like SMDEP and PREP at UCLA. Both of these programs have been instrumental in the pursuit of my medical degree. If you had the opportunity to speak with a potential medical student, what would you tell him/her? If medicine is truly your passion, then keep going until you reach that goal! Keep in mind that it may take more than one try or maybe doing more than what is required. I have met students who have gone immediately into medical school after college, and I have met older students returning to college in pursuit of a medical degree. There are many paths to medical school. Make it your goal to get there and through it successfully!